Outspoken super flyweight prospect Sunny ‘Showtime’ Edwards 8-0 (3) is confident that youth will be served when he takes on experienced campaigner Ryan Farrag 19-3 (5) in the first defence of his WBO European title in the 10-round main event at York Hall in Bethnal Green on Friday night live on BoxNation. The 22-year-old from Croydon admits he has begrudging respect for the former EBU European bantamweight champion despite not rating him on a personal level. Liverpudlian Farrag, 30, has faced the better opposition during his 22-fight, eight-year pro career that includes decision losses to future world champions Ryan Burnett and Lee Haskins. It’s a fact not lost on Edwards, who gives a frank assessment of both of their careers to date. The crossroads bout will pit Edwards’ youthful exuberance against Farrag’s veteran guile. “This is my first professional fight in my eyes,” continued Edwards. “These are the sort of fights I came into the game for. It’s a good level of fight and I think that’s proven by the fact it’s headlining a TV card. The fight is a quality match-up between the MTK Global stablemates, but Edwards insists he has the physical tools and fresher legs to get the job done. “I’ve been in with him in sparring. 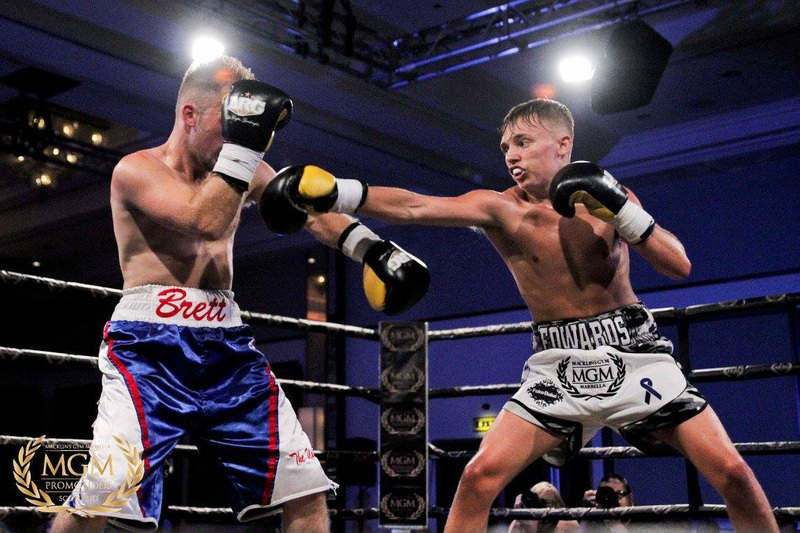 I know sparring is different but I did two six-round spars with him last year and I’ve only improved since then,” said Edwards, who has never been past sixth round in a professional fight.